A Colombian lawyer is suing FIFA for the bad refereeing at the World Cup causing him cardiac problems. The refereeing at the World Cup was pretty horrendous, of that there can be little argument. 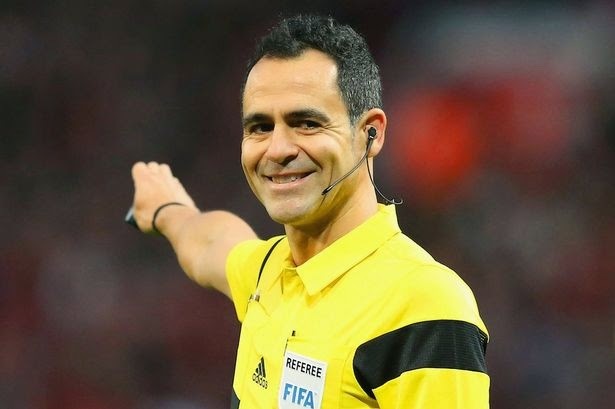 But while the piss poor job done by FIFA's match official's caused most of us to just swear and curse at our screens, it proved a little more troubling for a Colombian man. “I felt very bad, I was heartbroken, my cardiac rhythm was altered and my relatives took me to the emergency room at the hospital. I'm with you my Colombian friend. The refereeing at the World Cup was awful and few observers would disagree with him on that. What's more if he wins, Jimenez has promised to donate any money he receives to a children's charity. What's more, he claims to have testimonies from Pele, Diego Maradona, James Rodriguez and several referees who commented on the leniency showed by Spanish referee Carlos Velasco Carballo during Colombia's Quarter Final exit.